There’s only two things that money can’t buy, and that’s true love and home grown tomatoes. 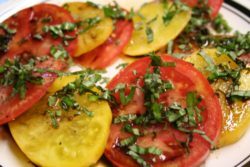 Don’t even bother making this salad with store bought tomatoes. They have to be home grown or from the farmer’s market. Also make sure that your basil is fresh, not dried. Dried basil is almost flavorless. Arrange tomatoes in an attractive fashion (such as fanning the slices out). Top with the basil, salt, and pepper. 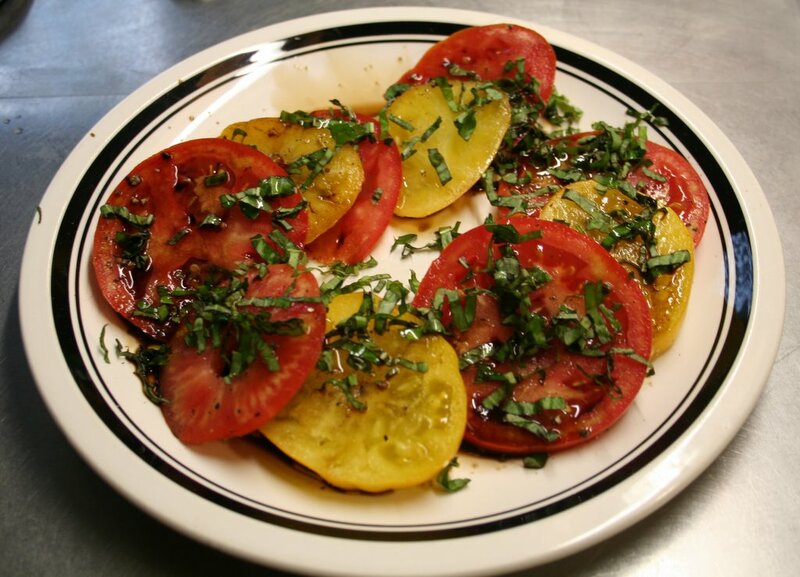 Drizzle the olive oil and balsamic vinegar over the tomatoes. Let marinate for at least 15 minutes for the vinegar to soak in.